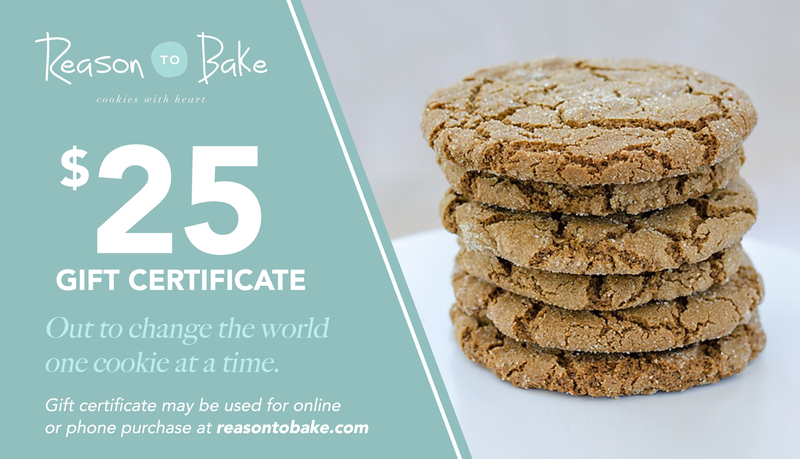 Make someone's life a little sweeter with a gift certificate to Reason to Bake. They can redeem this certificate anytime and pick out their favorite flavors! NOTE: This gift certificate is delivered electronically via email after you purchase it. It is NOT delivered in paper form and cannot be printed.